Nodes are a pre-set location, wrapped in a zone of influence, in our world that can form into towns of different sizes. These sizes range from a small camp to a sprawling metropolis. The size of the towns depends on the contribution by players and how far they’ve advanced the Node. 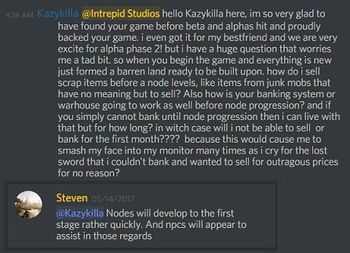 Players do not create the footprint of a Node, but within that footprint they do have the ability to own land. 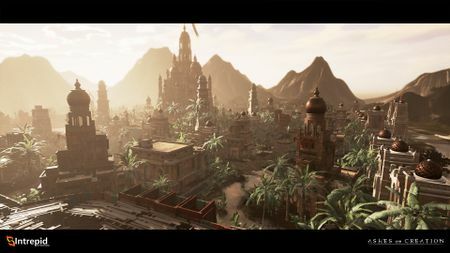 Players who are part of the government for a specific Node will have the ability to modify building types and services further, but for the most part, a Node will grow along its own specific path (think about this more as NPCs building these towns out, rather than PCs individually putting buildings and walls up). 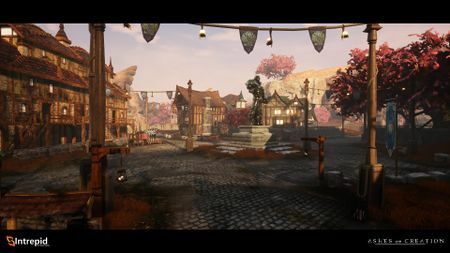 A Node’s contribution area is larger than the actual town itself, allowing for players to adventure while building upon the town. We call the contribution area the Node’s “Zone of Influence,” and it’s the area where players help to advance the Node they are in. Encompassing each server are carefully placed points of development called Nodes. 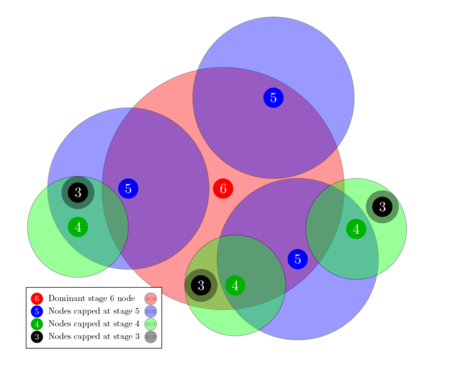 Nodes are assigned one of four (4) node types, each of which contain unique specializations. Players will be able to identify the type of a node at its first stage of development (Expedition) based on its NPC population. Node types are predetermined and are the same across all servers. A node’s type is static. It does not change based on the node’s advancement or destruction. Node types affect various services and systems at each level of node advancement. Alpha-0 Timeless protector boss in the Dünheim dungeon. Combat in Ashes of Creation is focused on strategy and tactics. 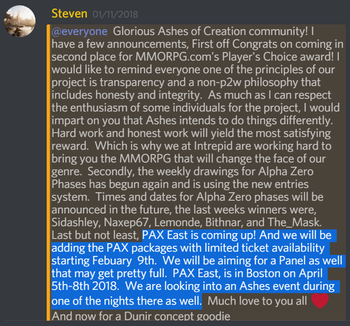 Pre-alpha PAX East 2018 PvE Developer playthrough, 4 April 2018. The Node system facilitates the generation of new PvE content such as Quests, Dungeons, Raids and Monster coins. PvE content adapts to the development of the world to avoid repitition. There may be some gear binding (BoE or BoP) but it will be an exception rather than the rule, as this doesn't facilitate the objectives for the economy. 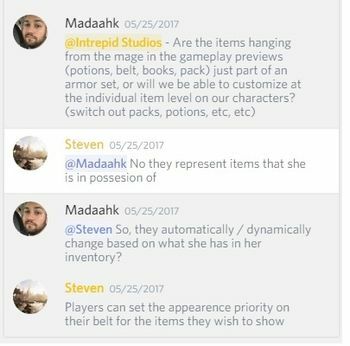 Very little gear will be account bound or soulbound in Ashes of Creation. Gear is obtained via crafting, gathering and processing along with raid and dungeon bosses. Weapons and armor are not class locked, but certain classes are more efficient with certain types of weapons or armor. There is an even split between melee and ranged weapons. 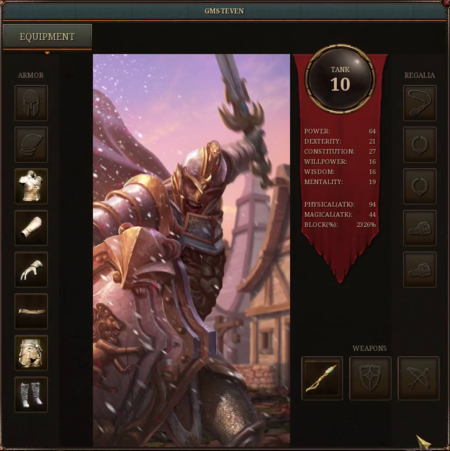 Armor types in Ashes of Creation. There are no specific barriers to alts. Gear will be able to be transferred between characters. Colonial PAX East 2018 exclusive cosmetic costume. Cosmetics provide a wide array of customization in Ashes of Creation. Nothing in the cosmetic store will be pay to win. Equitable cosmetics, both from a quantity and quality standpoint, are achievable through in-game means. Intrepid Studios has embraced an open (transparent) development approach, rather than sharing information through carefully curated press releases and announcements. Game time is currently purchasable in the Voyager plus pre-order pack. The monthly subscription fee is USD $15. 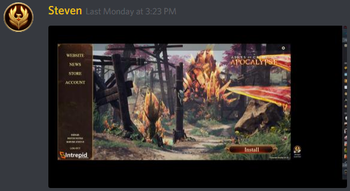 Ashes of Creation Apocalypse arena testing modes will be free to play. These are stand-alone modes that will be open to everyone, not just a backers. 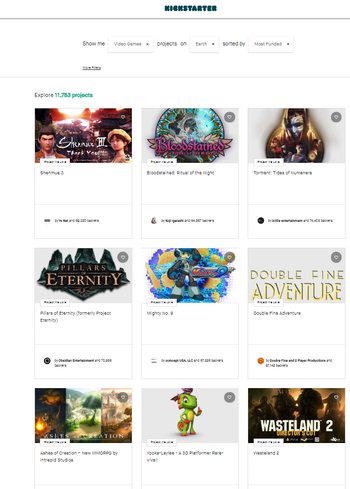 DLC expansions (post-launch releases) are planned on a quarterly basis. DLC will not cost anything more than the normal subscription. Q: Will there be RNG boxes? Inventory slots and XP potions are considered pay to win. 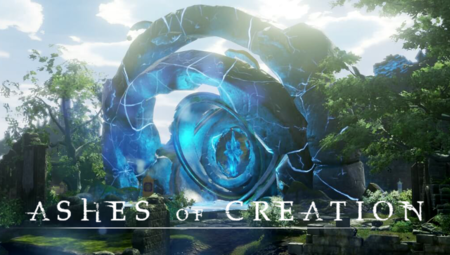 Intrepid Studios will self-publish Ashes of Creation in the NA (North American) region. My.com (Mail.ru) will publish Ashes of Creation in the EU (European Union), RU (Russia) and CIS regions. There is no current publisher for the OCE (Oceanic) and SEA (Southeast Asia) regions. It is likely that Intrepid Studios will self-publish in OCE. 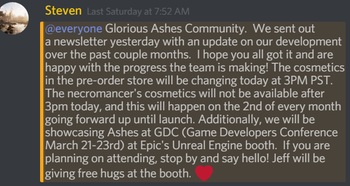 The Ashes of Creation MMORPG will not be published on the Steam platform. Q: So to play on EU you would need a EU account via mycom? Q: Can you inform us about payments done by EU. Will they be to my.com or to IS? Ashes of Creation cosmetic store. 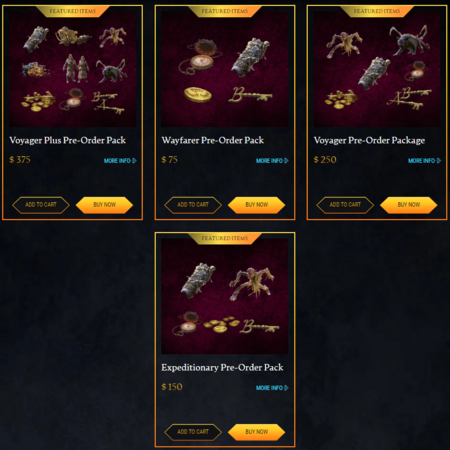 The Cosmetic store enables players to purchase Cosmetics for use in Ashes of Creation. Pets, Mounts, Costumes, Armor, Buildings and Accessories sold in the cosmetic store are skins. 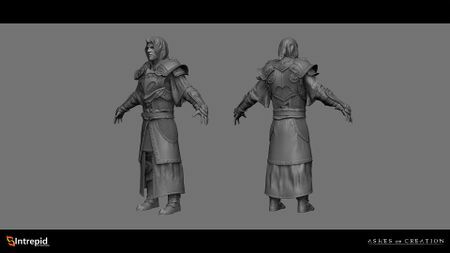 Cosmetic skins are only be able to be applied to things that have already been earned, crafted or found within Ashes of Creation. We plan to include a shop for micro transactions. The shop will only include cosmetic items. Nothing in our shop will ever be pay to win as we believe this practice greatly hurts the MMORPG genre. All cosmetic store items will be non-tradeable. There will be no gifting mechanism for cosmetic items. The cosmetic store will offer limited time, limited quantity items to help sustain game development. Aelean architecture has a French medieval influence. Pyrian architecture has a Greco-Roman influence. Empyreans have a Greco-Roman imperialistic feeling. The Py'Rai have a Navajo Native American influence. Py'Rai architecture has a woodland inspiration. The Vek have a Mesoamerican racial influence. The Niküa have a Polynesian influence. There will be real-world cultural references, particularly with regards to real-world holidays and historical events. These won't be out of place in terms of immersion. They will be homages. 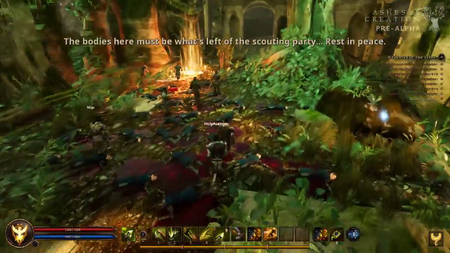 Dead bodies in a Pre-alpha raid encounter. 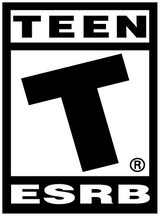 The aim is for Ashes of Creation to have a T for Teen rating, but it may end up having a M for Mature rating. 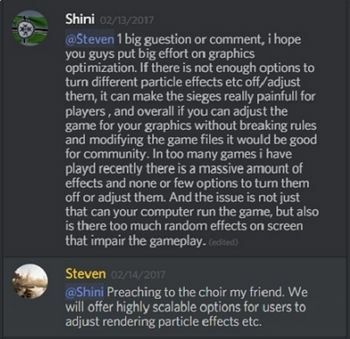 There may be an option to turn off blood and gore in the game. There probably won't be swearing in quests. Ashes of Creation will be easy to understand yet hard to master. Ashes of Creation will cater for a variety of player types; from Raiders or PvPers to Role players and Crafters. Casual players will have an impact because what they do is necessary for the health of the server. Ashes of Creation will be available in English, French, German, and Russian. Other languages are being considered. Servers won't be language locked. There may be a separate servers in the EU region based on language type. User interface localization tools are available in the chat window. Ashes of Creation will be released on the Windows PC platform. Console support may be added at a later point. Native Linux support may be possible in future. By the time of launch, five year old hardware should be viable. Minimum specification of a 2014-2015 rig with a mid to high range graphics card from that era. The game will be highly customizable from a settings standpoint. If you don't quite have the rig necessary to run it, you can dial the game settings down. Highly scalable options to adjust rendering and particle effects will be offered. Motion blur will be togglable on and off. Settings to cull out characters in large battle scenarios are being worked on. 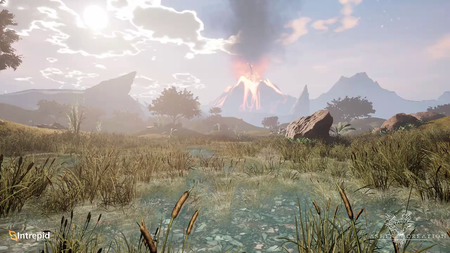 Unreal Engine 4 is the graphical engine for Ashes of Creation. 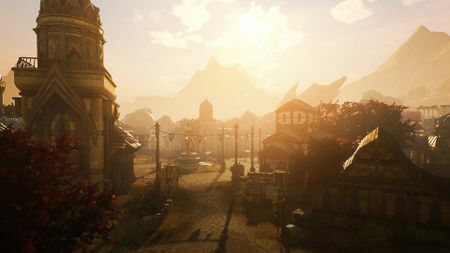 Ashes of Creation will feature a custom Unreal Engine back-end with proprietary networking code to enable mass combat in the open world: such as PvP, Node sieges, Castle sieges, Dungeons and World bosses. Other server regions will be considered based on interest. South America is under consideration due to traffic from that region. 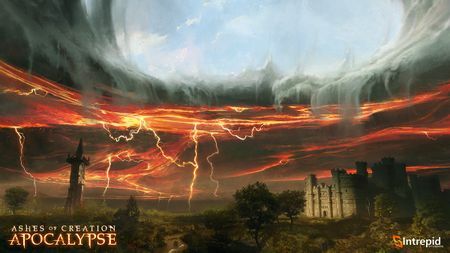 OCE servers will not be provisioned until Beta for Ashes of Creation (the MMO) and live launch for Ashes of Creation Apocalypse. There will not be region locking or IP blocking. Q: When you say you no region locking or IP blocking, does this refer to all regions or just only Europe, Russia or North America? Population limits will be enforced on each server. Around 8-10k concurrent users per server is projected. There won't be server channels (sharding) on a server. 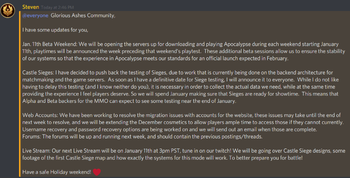 There won't be separate roleplaying (RP) servers. There won't be separate PvE and PvP servers. Server transfers will not be possible initially. The developers intend to assess the impact on housing and other systems closer to launch. eSports is not the main focus, but the game will naturally move in that direction if the game play is compelling, competitive and fun. NPCs will have voice acted audio greetings. Narrated quest lines are not currently planned. Adding voice acting into the game at at a later point is a fairly cosmetic change. Security systems will be in place to combat cheating, exploiting, botting, gold selling, item duplication and other things that affect the economy starting from Alpha-0. These systems collect user data and flag abnormal activities for inspection. This combined with player reporting functions generates a live "heat map" that draws attention to unusual behavior. Players caught cheating will be banned. Token-based two-factor authentication (2FA) may be in place for Alpha-1. Addons will not be allowed, in general. The developers don't want addons/mods to be necessary to experience the game. The developers believe that parsers (DPS meters) can have negative effects. 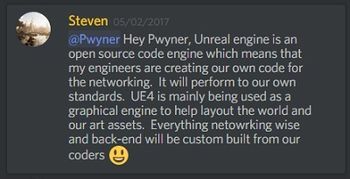 The design of the game API is still under consideration. There will be integrations available for streaming services such as Twitch and a few other services, but it's not something that will be exposed through an API just yet. Ashes of Creation board game. 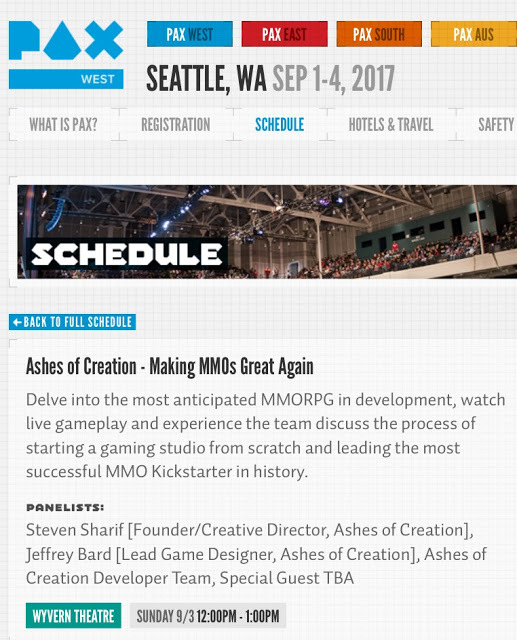 An Ashes of Creation board game is scheduled for release at around the time of the MMORPG Beta phase. It is a resource management and combat game with an action economy. 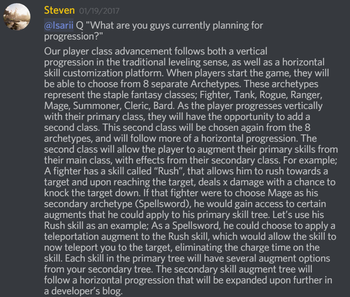 Each player chooses a Class and attempts to build a Guild that takes over a server on Ashes of Creation. The more guild members, the more action tokens the guild will receive. These tokens can be spent on actions on the game board and during battles. Guilds gain income by constructing Caravans. 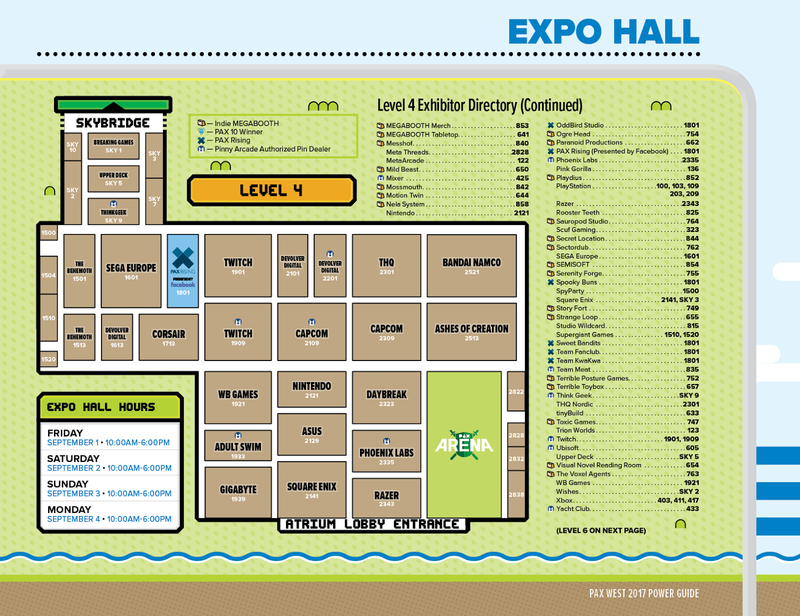 Players have a pool of resources that they keep secret. Combat resource (gained from guilds participating in PvP). 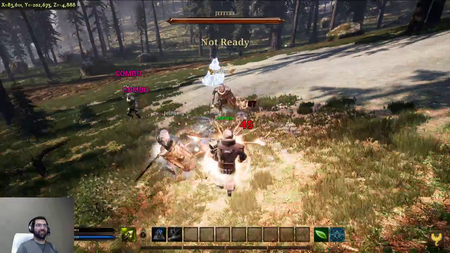 There are several types of combat in the game. Attacking a raid boss makes the game co-op. Other guilds can then join in to fight the boss. The raid boss' level is based on the level that the game board is at. The game comes as a complete set with an adjustable map that players construct every game. The map is comprised of six components that are placed together. The game board is made of of zones that evolve as players complete activities and actions. Over forty different buildings can be built. There game comes with six standardized characters. 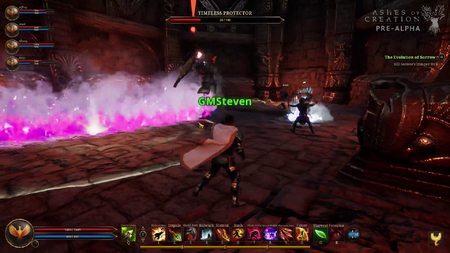 Players have a character sheet with tracked abilities and skill levels. As a character levels they become more powerful. Players compete for server firsts. The game is playable by two to five players. The game will last about 30 minutes per player. There will be expansions, but the base game can be played stand-alone. Expansions will come with additional map tiles with new locations to gain resources from. Map tiles from expansions can be switched out. Expansions come with additional structures. Expansions will have characters that are race-specific to Ashes of Creation. 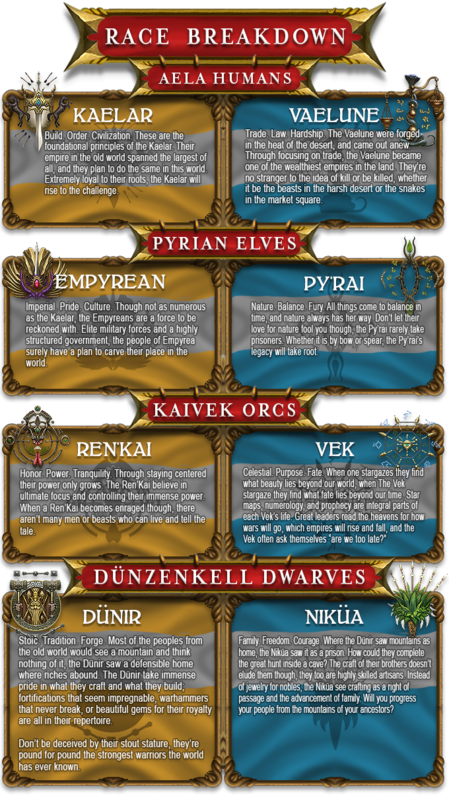 Each race will have certain advantages and abilities. 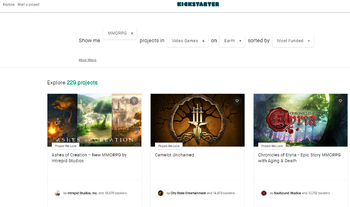 The game will probably not be funded by Kickstarter. The estimated retail price is between $50 and $100 US. It is undecided if certain editions of the game will come with Cosmetics. Ashes of Creation official Twitter. Ashes of Creation official Steam community. Ashes of Creation official subreddit. ↑ 1.0 1.1 1.2 1.3 1.4 1.5 1.6 1.7 1.8 A reactive world - Nodes. ↑ 2.0 2.1 2.2 About Ashes of Creation. ↑ 3.0 3.1 Blog: Creative Director's Letter. ↑ 6.0 6.1 Livestream, 18 January 2018 (2:48). ↑ 7.0 7.1 7.2 Livestream, 1 September 2018 (54:06). ↑ 13.0 13.1 Livestream, 8 March 2019 (1:02:45). ↑ 15.0 15.1 Livestream, 8 March 2019 (38:30). ↑ 22.0 22.1 22.2 Livestream, 8 May 2017 (11:14). ↑ Video, 30 April 2017 (0:00). ↑ 24.0 24.1 24.2 24.3 Node series part II – the Metropolis. ↑ Ashes of Creation - Screenshots. ↑ 27.00 27.01 27.02 27.03 27.04 27.05 27.06 27.07 27.08 27.09 27.10 27.11 27.12 Blog - Know Your Nodes - The Basics. ↑ 29.0 29.1 Livestream, 4 May 2017 (15:15). ↑ 30.0 30.1 30.2 Blog - Know Your Nodes - Advance and Destroy. ↑ 32.0 32.1 32.2 Livestream, 16 October 2017 (50:20). ↑ 37.0 37.1 Livestream, 26 May 2017 (28:16). ↑ 40.0 40.1 Video, 30 April 2017 (5:31). ↑ 41.0 41.1 41.2 41.3 Livestream, 9 February 2018 (20:40). ↑ Livestream, 3 May 2017 (17:59). ↑ 47.0 47.1 47.2 Livestream, 22 May 2017 (20:59). ↑ Video, 4 April 2018 (0:01). ↑ 51.0 51.1 Ashes of Creation FAQ. ↑ Livestream, 8 April 2018 (PM) (1:14:01). ↑ 53.0 53.1 Podcast, 9 July 2018 (22:24). ↑ Livestream, 15 May 2017 (13:06). ↑ 58.0 58.1 58.2 58.3 Interview, 24 August 2018 (4:15). ↑ 63.00 63.01 63.02 63.03 63.04 63.05 63.06 63.07 63.08 63.09 63.10 Livestream, 24 May 2017 (14:15). ↑ 65.0 65.1 Livestream, 4 May 2018 (33:56). ↑ 73.0 73.1 73.2 73.3 73.4 Livestream, 9 February 2018 (7:31). ↑ Livestream, 9 February 2018 (15:01). ↑ 77.0 77.1 Livestream, 28 July 2017 (31:30). ↑ 79.0 79.1 79.2 79.3 79.4 Ashes of Creation race breakdown. ↑ Kickstarter $2,500,000 New Player Race Achieved. 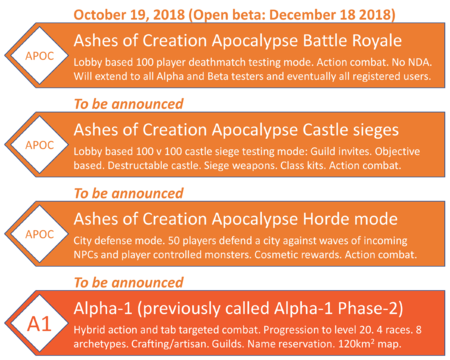 ↑ 85.0 85.1 Ashes of Creation class list. ↑ 86.0 86.1 86.2 86.3 Group dynamics blog. ↑ 87.0 87.1 87.2 87.3 Livestream, 22 May 2017 (46:04). ↑ 88.0 88.1 Interview, 20 October 2018 (2:40:16). ↑ Livestream, 26 May 2017 (15:37). ↑ Livestream, 15 May 2017 (18:25). ↑ Livestream, 15 May 2017 (19:15). ↑ 95.0 95.1 Livestream, 8 May 2017 (48:49). ↑ 100.0 100.1 100.2 100.3 100.4 100.5 100.6 100.7 100.8 100.9 Livestream, 8 April 2018 (PM) (13:39). ↑ 109.0 109.1 Livestream, 24 May 2017 (48:45). ↑ 110.0 110.1 110.2 110.3 110.4 Livestream, 22 May 2017 (54:32). 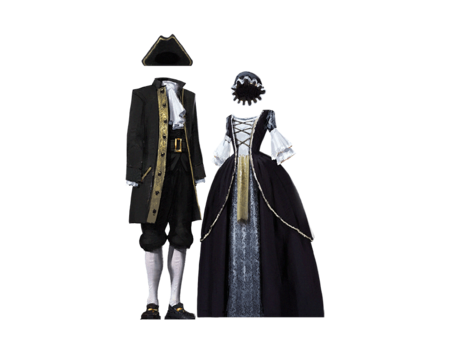 ↑ Ashes of Creation Store: Colonial Costume. ↑ Livestream, 8 May 2017 (48:52). ↑ 116.0 116.1 116.2 116.3 116.4 Livestream, 8 April 2018 (PM) (58:29). ↑ 124.0 124.1 124.2 Livestream, 26 May 2017 (19:51). ↑ 125.0 125.1 125.2 Reddit Q&A, 8 January 2019. ↑ 131.0 131.1 Interview, 20 October 2018 (3:34:46). ↑ 134.0 134.1 Livestream, 18 January 2018 (39:08). ↑ 139.0 139.1 Interview, 20 October 2018 (1:55). ↑ 143.0 143.1 143.2 143.3 143.4 143.5 143.6 143.7 Video, 5 April 2018 (40:08). ↑ 144.0 144.1 144.2 144.3 144.4 144.5 144.6 February 8, 2019 - Questions and Answers. ↑ 147.0 147.1 147.2 Livestream, 15 May 2017 (26:13). ↑ 148.0 148.1 Livestream, 27 September 2018 (52:41). ↑ 149.0 149.1 Interview, 24 August 2018 (8:52). ↑ 151.0 151.1 Livestream, 28 July 2017 (19:05). ↑ 152.0 152.1 Livestream, 4 May 2018 (45:37). ↑ 153.0 153.1 153.2 153.3 153.4 Livestream, 4 June 2018 (1:11:19). ↑ 155.0 155.1 Livestream, 24 May 2017 (32:07). ↑ 159.0 159.1 159.2 Livestream, 8 May 2017 (44:51). ↑ 162.0 162.1 Livestream, 9 July 2018 (36:05). ↑ 165.00 165.01 165.02 165.03 165.04 165.05 165.06 165.07 165.08 165.09 165.10 165.11 Livestream, 27 September 2018 (55:39). ↑ 166.0 166.1 166.2 Livestream, 19 May 2017 (22:10). ↑ 168.0 168.1 Livestream, 5 May 2017 (23:26). ↑ 170.0 170.1 170.2 Livestream, 17 May 2017 (7:27). ↑ 171.0 171.1 171.2 171.3 Podcast, 11 May 2018 (18:52). ↑ 173.0 173.1 173.2 173.3 173.4 Podcast, 11 May 2018 (21:07). ↑ 174.0 174.1 174.2 Podcast, 11 May 2018 (48:29). ↑ 175.0 175.1 Podcast, 23 April 2018 (29:56). ↑ Video, 5 April 2018 (49:36). ↑ 181.0 181.1 Interview, 20 October 2018 (1:45:09). ↑ 182.0 182.1 Livestream, 24 May 2017 (35:11). ↑ 183.0 183.1 Podcast, 23 April 2018 (59:28). ↑ 184.0 184.1 Podcast, 23 April 2018 (1:01:01). ↑ 188.0 188.1 Interview, 24 August 2018 (8:35). ↑ 189.0 189.1 A chat with Ashes of Creation's Steven Sharif, 7 June 2017. ↑ Interview, 20 October 2018 (3:43:52). ↑ Livestream, 4 May 2018 (39:41). ↑ Livestream, 4 May 2018 (53:34). ↑ 197.0 197.1 197.2 Livestream, 31 October 2018 (38:47). ↑ 198.0 198.1 198.2 198.3 Livestream, 1 September 2018 (1:05:10). ↑ Livestream, 17 August 2018 (9:33). ↑ 202.0 202.1 Livestream, 1 June 2017 (19:12). ↑ Livestream, 17 August 2018 (32:31). ↑ 206.0 206.1 Podcast, 4 August 2018 (1:57:56). ↑ 207.0 207.1 Interview, 21 August 2018 (11:20). ↑ Interview, 21 August 2018 (27:35). ↑ 211.0 211.1 Interview, 21 August 2018 (11:27). ↑ Livestream, 6 December 2018 (41:43). ↑ 220.0 220.1 Interview, 11 May 2018 (32:36). ↑ 221.0 221.1 Interview, 20 October 2018 (2:17:43). ↑ 223.0 223.1 Interview, 20 October 2018 (3:47:17). ↑ Livestream, 16 October 2017 (15:58). ↑ 225.0 225.1 225.2 Interview, 11 May 2018 (1:03:21). ↑ Podcast, 11 May 2018 (31:35). ↑ Interview, 11 May 2018 (1:04:27). ↑ 229.0 229.1 229.2 Podcast, 11 May 2018 (36:28). ↑ Livestream, 17 November 2017 (23:00). ↑ Interview, 17 August 2018 (31:09). ↑ Livestream, 17 November 2017 (33:56). ↑ 233.0 233.1 Livestream, 4 May 2018 (49:45). ↑ 234.0 234.1 Livestream, 4 June 2018 (7:25). ↑ 235.0 235.1 Podcast, 11 May 2018 (33:09). ↑ 236.0 236.1 236.2 Video, 5 April 2018 (44:06). ↑ 237.0 237.1 Video, 5 April 2018 (48:03). ↑ 238.0 238.1 What languages will Ashes of Creation be in? ↑ 239.0 239.1 239.2 Livestream, 17 May 2017 (1:09:22). ↑ 240.0 240.1 Interview, 24 August 2018 (2:35). ↑ 241.0 241.1 Livestream, 24 May 2017 (45:49). ↑ Interview, 24 August 2018 (3:19). ↑ Livestream, 24 May 2017 (23:50). ↑ 245.0 245.1 245.2 245.3 245.4 Livestream, 17 August 2018 (1:07:51). ↑ Interview, 20 April 2018 (24:11). ↑ Livestream, 4 May 2018 (43:35). ↑ Livestream, 15 December 2017 (39:23). ↑ 252.0 252.1 Livestream, 24 May 2017 (54:54). ↑ 253.0 253.1 Ashes of Creation Apocalypse: What are the minimum system requirements? ↑ 256.0 256.1 256.2 256.3 Livestream, 27 September 2018 (48:13). ↑ Interview, 8 May 2017 (22:06). ↑ 258.0 258.1 Livestream, 24 May 2017 (40:50). 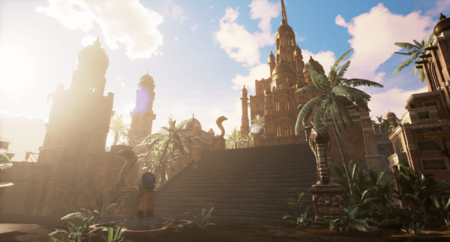 ↑ 260.0 260.1 260.2 Ashes of Creation FAQ: Where will your servers be? ↑ Livestream, 9 July 2018 (47:54). ↑ 263.0 263.1 Livestream, 8 April 2018 (AM) (26:41). ↑ Interview, 24 August 2018 (0:09). ↑ Livestream, 17 May 2017 (59:25). ↑ Video, 6 September 2018 (4:25). ↑ 270.0 270.1 Interview, 20 April 2018 (9:20). ↑ Livestream, 28 July 2017 (35:42). ↑ Livestream, 5 May 2017 (35:27). ↑ MMORPG Interview, 12 December 2016. ↑ 275.0 275.1 Livestream, 8 April 2018 (PM) (39:48). ↑ 276.0 276.1 276.2 276.3 Interview, 20 October 2018 (2:22:09). ↑ Livestream, 8 April 2018 (AM) (25:12). ↑ Livestream, 8 April 2018 (AM) (24:14). ↑ Livestream, 17 November 2017 (38:35). ↑ Interview, 21 August 2018 (40:44). ↑ 282.0 282.1 Livestream, 5 May 2017 (20:02). ↑ 283.0 283.1 Interview, 20 October 2018 (6:29). ↑ Livestream, 5 May 2017 (43:27). ↑ Livestream, 5 May 2017 (21:41). ↑ 286.0 286.1 Interview, 11 May 2018 (49:03). ↑ 287.0 287.1 287.2 MASSIVELY OP interview: Ashes of Creation on a new way to MMO. ↑ 308.0 308.1 Livestream, 17 May 2017 (41:27). ↑ 309.0 309.1 Livestream, 31 October 2018 (35:00). ↑ 310.00 310.01 310.02 310.03 310.04 310.05 310.06 310.07 310.08 310.09 310.10 310.11 310.12 Livestream, 3 November 2018 (0:00:17). ↑ 314.0 314.1 Interview, 24 August 2018 (13:17). ↑ 315.0 315.1 315.2 Livestream, 17 August 2018 (30:29).